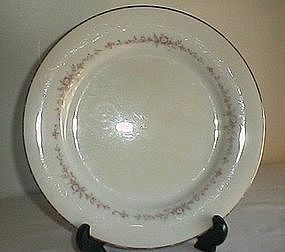 Noritake Rosepoint Dinner Plate, 10 1/8" diameter. Light wear, no chips or cracks. Has light yellowing in center.